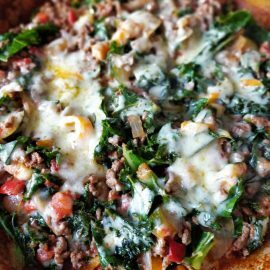 Our Chilli blend allows you to create amazing chilli with loads of flavour and good levels of heat! Our Berbere blend create’s a taste of Ethiopian cuisine with the freshest ingredients. We use a mix of fragrant spices to create a versatile spice blend with a fiery chilli kick. This is great for marinades, curries and stews. Our BBQ Spice Rub blend allows you to create amazing BBQ meals with ease. 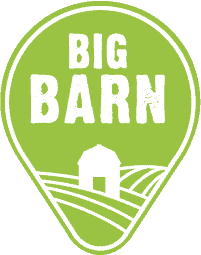 It’s packed with flavour with no additives or preservatives. Great to add 3 tablespoons to 6-8 chicken thighs, rub in and leave for 2 hours. Cook in the oven for 30 mins and then put on the BBQ for 15 to crisp up! 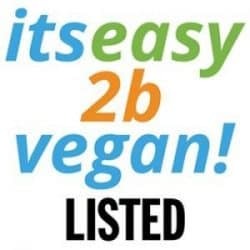 This is vegan friendly so like all my blends can be used with any meat alternatives. Our Za’atar blend create’s a taste of Middle Eastern cuisine with the freshest ingredients. 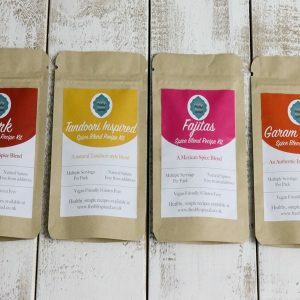 Our Dukkah Spice blend create’s a taste of Egyptian cuisine with the freshest ingredients. Fresh flavours from herbs and spices. Spice up your salads, make amazing dips for breads or add to yoghurt. This goes great on chicken, fish or to flavour tofu! Our Turkish Drinking Spice, combines ideas from Turkish drinks to form a great way to add a kick to your hot drinks. 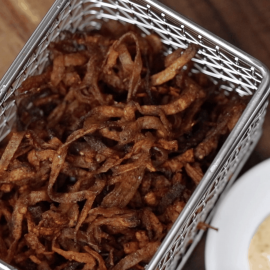 It offers depth of flavour with just a pinch. This is a great way to give up sugar or cut back but still add flavour to your drinks. It works really well in Coffee and Hot Chocolate. 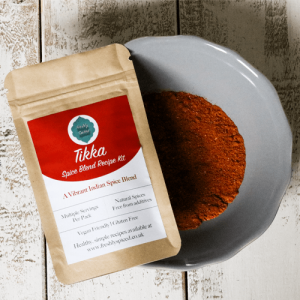 Our Tikka blend create’s a taste of Indian cuisine to make tasty curries, meat or fish marinades. 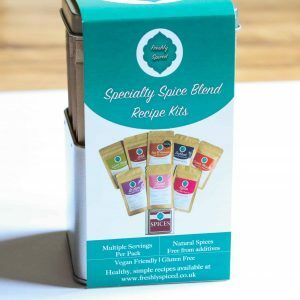 Freshly ground to enhance your meal with fragrant coriander, cinnamon, fiery chilli and ginger to spice up your curries. 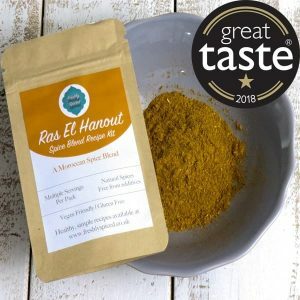 Our Ras El Hanout blend create’s a taste of Moroccan cuisine with the freshest ingredients. We use 15 spices, toast them slightly and then grind down to form a deep, aromatic flavour. This is such a versatile blend and can be used in many dishes, ideal to spice up stews and tagines. 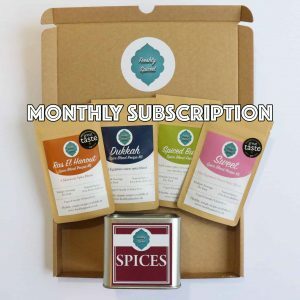 Spices delivered to your door every month! 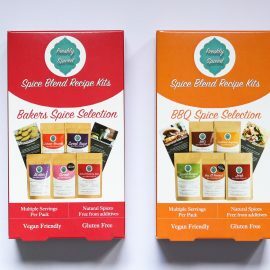 Never forget to re order, there’s nothing worse than looking forward to your favourite spiced dinner to find the empty packet!